Welcome to George Gee Cadillac Kia. Our team strives to make your next vehicle purchase hassle free. This 2016 Kia Soul qualifies for our free lifetime power-train warranty available exclusively at George gee in Coeur d'Alene. This Soul is also a Kia certified pre-owned vehicle! This vehicle comes equipped with a back up camera, hands free calling, bluetooth, cruise control, and much more!Thanks for checking out our vehicle online. Please come and visit us at 317 West Dalton Ave, Coeur d'Alene, ID or give us a call at (208)667-7416. - Free Lifetime Warranty is valid only on New and Used Vehicles with less than 100,000 miles and 5 Years Old or Newer. Valid exclusively at George Gee Cadillac Gee Coeur d'Alene See dealer for full details and exclusions. This 2018 Soul is certified by CARFAX as a 1-owner with a clean history report. It is a manufacturer certified pre-owned vehicle and also qualifies for our Lifetime Power-train Warranty offered here at Coeur d'Alene Gee Kia. The Soul is one of Kia's top selling brands. Compact but full of room, an unique look, and great on gas, the Soul is a great vehicle to have. It earned IIHS's 2018 Top Safety Pick+ award. This 2018 Soul has great features like UVO, backup camera, hands free phone connectivity, folding rear seats, cruise control, ancillary ports and more. George Gee Cadillac Kia's mission is to ensure all our customers have a positive auto buying experience and are completely satisfied with their new vehicle. Please come and visit us at 317 West Dalton Ave, Coeur d'Alene, ID or give us a call at (208) 667-7416. - Free Lifetime Warranty is valid only on New and Used Vehicles with less than 100,000 miles and 5 Years Old or Newer. Valid exclusively at George Gee Cadillac Gee Coeur d'Alene See dealer for full details and exclusions. This 2018 Sedona is a great find. It is certified by CARFAX as a 1-owner vehicle with a clean history report and is a manufacturer certified pre-owned vehicle. It also qualifies for our Lifetime Power-train Warranty offered here at Geoge Gee of Coeur d'Alene. This is one well equipped LX model with features like heated front seats, middle row window sun shields and A/C temperature and position controls, UVO, backup camera, 8 passenger capacity, and more. George Gee Cadillac Kia is committed to 100% customer satisfaction, no exceptions. Thanks for checking out our vehicle online. Please come and visit us at 317 West Dalton Ave, Coeur d'Alene, ID or give us a call at (208) 667-7416. - Free Lifetime Warranty is valid only on New and Used Vehicles with less than 100,000 miles and 5 Years Old or Newer. Valid exclusively at George Gee Cadillac Gee Coeur d'Alene See dealer for full details and exclusions. This Sorento is a certified CARFAX 1-owner with a clean history report and has also passed our inspection to be a manufacturer certified pre-owned vehicle. 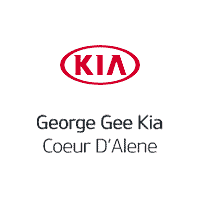 It also carries our Lifetime Power-train Warranty offered here at George Gee Kia of Coeur d'Alene. The Sorento is a popular mid-size SUV and this 2019 LX doesn't disappoint for features. It has a V6 engine, 3rd row seating, power driver seat, duel zone A/C, backup camera, and more. George Gee Cadillac Kia's mission is to ensure all our customers have a positive auto buying experience and are completely satisfied with their new vehicle. Thanks for checking out our vehicle online. Please come and visit us at 317 West Dalton Ave, Coeur d'Alene, ID or give us a call at (208) 667-7416. - Free Lifetime Warranty is valid only on New and Used Vehicles with less than 100,000 miles and 5 Years Old or Newer. Valid exclusively at George Gee Cadillac Gee Coeur d'Alene See dealer for full details and exclusions.